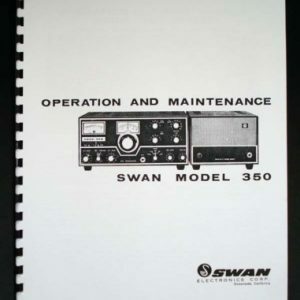 For sale is reprint of Swan models SW-120SW-140 and SW-175 SSB transceiver manual. 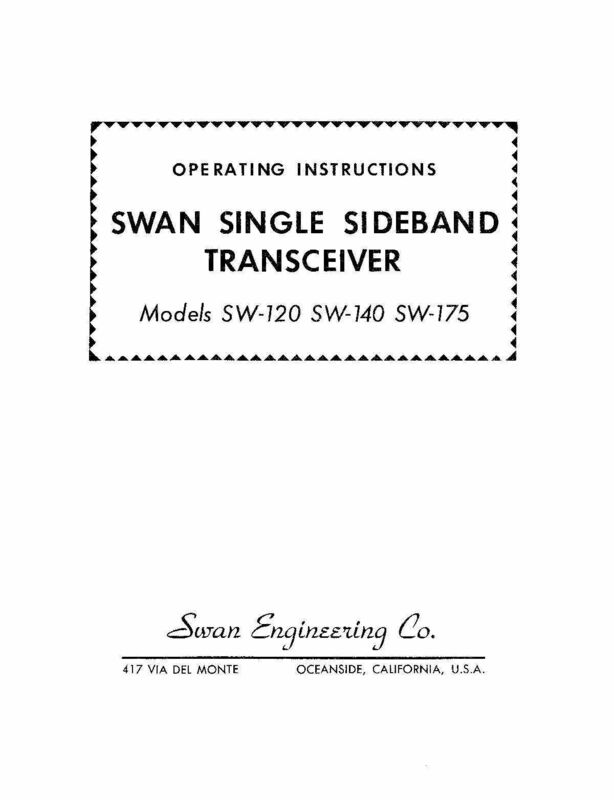 Manual is 20 pages long, includes 11×17 foldout of Circuit Diagram, Dated 1962. 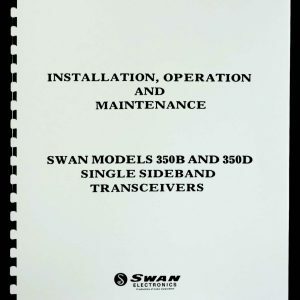 Original Manual was typed on typewriter with hand drawn illustrations, our reprint is limited by the quality of the original. Manual covers Installation, Operation, Theory, Alignment. Troubleshooting section consists of part list and tube socket voltage table. This entry was posted on April 27, 2015 by Megha.